Monday afternoon, 1-4 pm, the Dept. 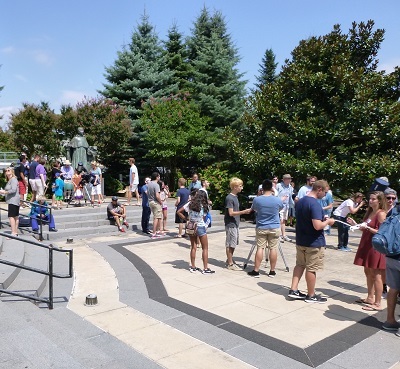 of Astrophysics and Planetary Science set up telescopes on the Mendel Plaza for the Villanova community to observe the solar eclipse. This area did not see a total eclipse, but it was still worth watching.